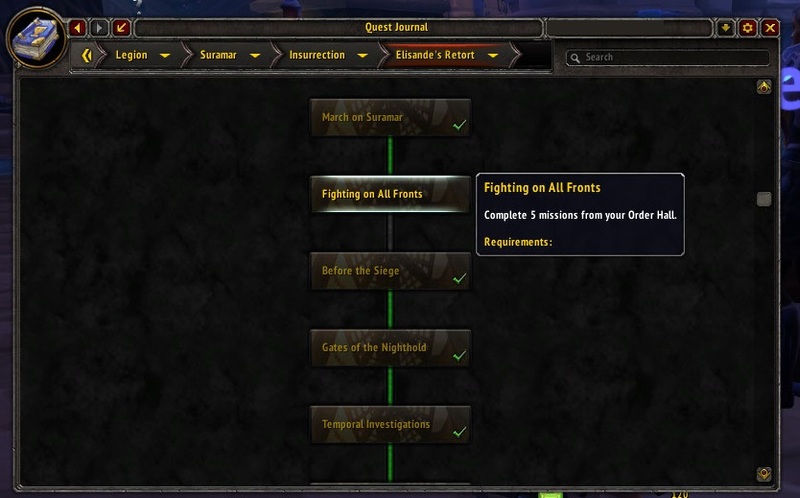 Quest https://www.wowhead.com/quest=45317/fighting-on-all-fronts in Suramar's "Elisande's Retort" chain is no longer available. I did all quests in "Insurrection" and this quest wasn't offered to me. Done on 120 mage Alliance. As of 12-11-18 Order Hall, Highmountain, Stormhelm, Broken Shore, and Argus are the only zones showing. 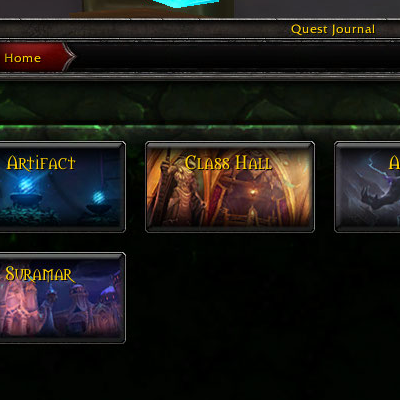 The other zones for Legion are not showing on the Home page of your addon. All looks good now. Thank you for the addon and the update. For the Legion plugin, the class hall quests leading you to your weapon crucible are no longer needed or obtainable. Not a big deal, as the chains still work fine. But just a heads up! This should be solved in the latest version of the core addon (v1.12.1), please let me know if you continue having issues. found something weird. On the top of the tree, before update, a check tick was showed where I've completed the storyline, but now it's gone. buggy? Do you mean the tick on categories (Artifact, Azsuna, etc.)? If so that should be fixed in the latest version (v1.15.1) of the core addon.